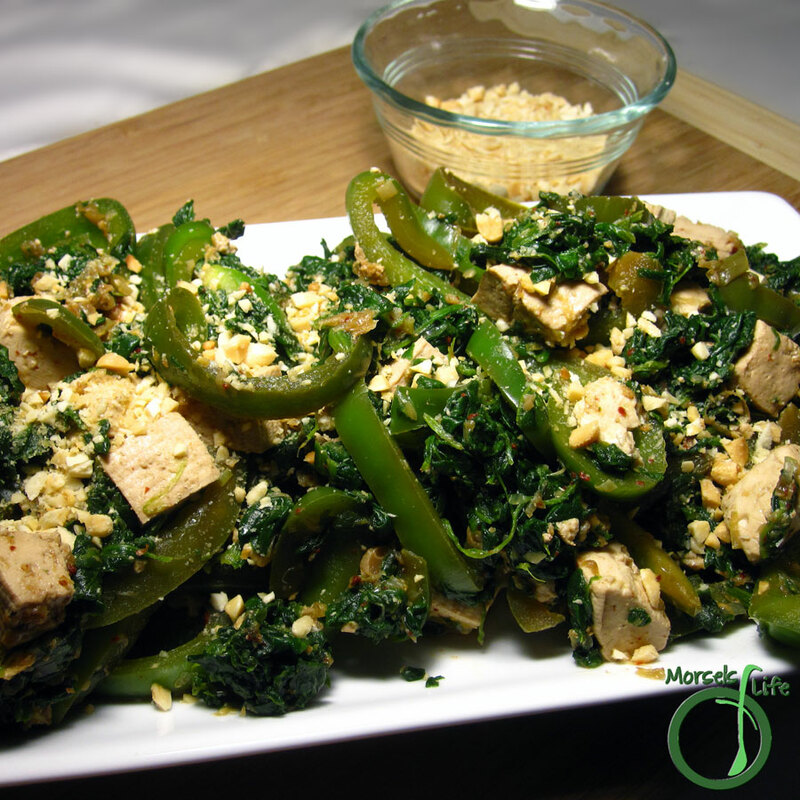 Thai-style tofu with bell peppers and spinach, topped with chopped peanuts. I had some green bell peppers I wanted to use up. Luckily, I also had some tofu around, so I figured I could make some sort of stirfry. Then, I thought back to Thailand, a country known for its balance of flavors - sweet, savory, spicy, and sour. For this dish, I mainly focused on savory, but I also used sweet bell peppers, sour lime juice, and spicy red pepper flakes. (I didn't use a whole lot, but you could easily add more or less, depending on your tastes.) After making this dish, you could also sprinkle some chopped peanuts on top - just like they do in Thailand! Red bell peppers are another option, and if I had some, it's what I would have used, especially since they're sweeter and more colorful. Too bad I already used mine to make Roasted Red Peppers! What's your favorite type of bell pepper? 1 teaspoon red pepper flakes I used gochugaru. Add in bell peppers, soy sauce, red pepper flakes, and tofu, tossing to mix. Add in green onions and spinach, cooking until spinach barely wilted. Sprinkle chopped peanuts on top, just before serving.